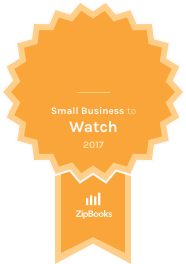 American Fork, Utah – ZipBooks is proud to recognize three recipients as ZipBooks Small Businesses to Watch for May 2017. The winners were selected across all small businesses using the ZipBooks platform. Volunteer Forever helps volunteers, interns, and teachers find and fund trips abroad through connecting students and young professionals with international education program providers. Founded in 2012 and a startup in San Francisco, Volunteer Forever is like a next generation curated travel platform with travel guides, profiles and reviews of education providers with a crowdfunding platform to help travelers raise money for their trips. Founded in 2007, Anointed Ads Web Design provides website solutions for businesses. Their goal is to help clients get the most out of their website and enable them to put their best face forward online. Anointed Ads provides graphic design services, SEO consulting, and online marketing. The company’s primary focus is creating amazing designs and providing excellent service to customers. Located in Carrboro, North Carolina, Adrial Designs specializes in web design, logo design, and print collateral design. Clients come to Adrial Designs with marketing plans that need to come alive in order to draw in potential customers. Adrial Designs transforms clients’ raw business visions into a cohesive, beautiful reality for their customers. ZipBooks provides small business owners with online bookkeeping and accounting, invoicing, and time tracking software. ZipBooks tools and intelligence help business owners operate and improve small businesses. ZipBooks is based in American Fork, Utah. For more information visit www.zipbooks.com.